McGinn has completed his film review and his exit interviews. ~Following are Bob McGinn’s team grades for the 2016 Green Bay Packers season. Individual player grades for the offense, defense and special teams will be published Monday and Tuesday. Perhaps the best way to judge a passing attack is pass average (yards divided by attempts and sacks). Just 28th at midseason, the Packers finished with a flourish to end 17th. Thus, they settled near the middle of the pack after a No. 31 finish last year and a No. 1 finish in 2014. It’s easy to forget the Packers tied for 25th in passing yards (218.9) a year ago, their worst finish since ’87. This year, they were seventh (262.4). Just 11th in passer rating (96.1) after eight games, Aaron Rodgers rebounded to finish fourth (104.2). His full-season numbers (playoffs included) showed personal bests in attempts (738), completions (481), yards (5,432) and touchdowns (49). His all-game rating of 104.1 was the sixth-best of his career and his average per attempt of 7.38 was his eighth-best. Opponents blitzed on just 23.7% of passes, lowest against Green Bay in at least 20 years. The protection unit ranked 13th in sack percentage, its best finish since ’07. Of the 45 sacks, just 21½ were charged to the line and 16½ went on Rodgers. Bryan Bulaga allowed the most pressures (33). Jordy Nelson tied for fifth in receptions (97) and was sixth in yards (1,257). His 14 TDs tied for fourth; Davante Adams’ 12 tied for seventh. After snagging seven in each of his first two seasons, Adams led the team in receptions of 20 yards or more with 21. The Packers tied for 21st in yards per completion (11.0). According to Sportradar, Green Bay ranked 16th in dropped passes. Nelson and Adams shared the team lead in drops with nine; Randall Cobb had the lowest drop rate (1.9%). Cobb also led the club in average gain after the catch (5.05). Overweight or not, Eddie Lacy was running effectively when his season ended in Game 5 (after 166 snaps) with an ankle injury. He averaged a hefty 5.1 in 71 carries for 360 yards. At that point, coach Mike McCarthy’s run rate was 40.3%. Playing even more spread offense, the Packers rushed merely 33.6% in Games 6-19 to finish at 35.3%. It was far off McCarthy’s 41.5% rate in his first 10 seasons, which also happened to be the NFL average this season. In the end, the Packers ranked 20th in rushing (106.3), down from 12th, 11th and seventh in the last three seasons when Lacy was at full throttle. Eddie Lacy hurt his ankle in week 6 versus the Giants. The Packers ran him down to the ground the next week versus Dallas, and his season ended with surgery as a result. Impressively, their average per carry of 4.5 (4.4 in the playoffs) came in seventh. Converted WR Ty Montgomery ranked 41st with 457 yards, lowest by a rusher leader in Green Bay since Darick Holmes gained 386 in ’98. Chipping in with 22% of the 19-game rushing total was Aaron Rodgers with a career-best 431 yards. In the regular season, his total of 369 trailed only Tyrod Taylor (580) and Colin Kaepernick (468) at the position. Rodgers, without a rush for 20 yards or more since 2012, had four. The “bad” run rate was 26.8%; Lane Taylor had a team-high 13. Utilizing a predominantly zone scheme, the Packers pulled a lineman on just 42 of their 433 rushes. Those 42 rushes, however, gained 313 yards (7.5). On T.J. Lang’s 12 pulls, the gain was 175 yards (14.6). Of the 14 rushing TDs, just three came in the first 10 games. When push came to shove, however, the Packers often failed to get the tough yard. 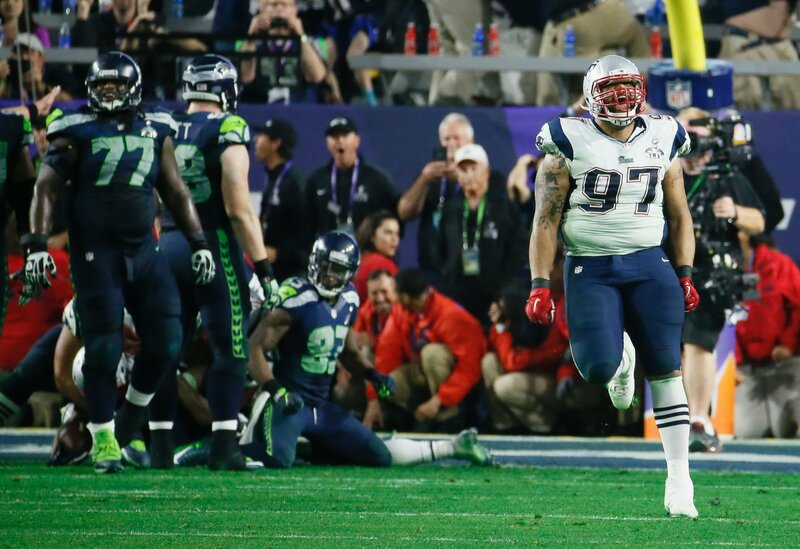 On 21 third- and fourth-and-1 situations, they converted just 57.1% (12) on the ground. Statistically, at least, pass rush wasn’t the problem. The Packers had 44 sacks, ranking seventh in sack percentage. The linebackers amassed 149 pressures, 19 more than ever before in Dom Capers’ eight seasons as coordinator. Nick Perry enjoyed his finest season with a team-high 36 pressures. Other productive rushers were Julius Peppers (32½), Mike Daniels (31½), Datone Jones (31½) and Clay Matthews (28½). The Packers recovered all five fumbles on their five strip-sacks. The four-man rush needed to be active because Capers blitzed on just 27.3% of passes, a far cry from 36.3% last season. When Sam Shields suffered a season-ending concussion late in Game 1, Capers soon would discover the others couldn’t cover. One year after ranking 11th in pass average, the Packers crashed to 30th. They ranked 31st in passing yards (269.3) and 26th in opposing passer rating (95.9), long a strength for a Capers-coordinated defense. The playoff results (326.0, 103.2) were even worse. Over the last six games, foes averaged 337.5 net yards passing. Damarious Randall allowed plenty of touchdowns this season, as well as last. He helped make Adam Thielen look like Jordy Nelson, and Marvin Jones look like Marvin Harrison. Don’t forget about week two in Minnesota where he tried to put Stefon Diggs into the Hall of Fame. Damarious Randall allowed 8½ TD passes; the last Packers cornerback to give up more was Craig Newsome (10½) in 1995 (21 years ago). LaDarius Gunter yielded eight TD passes; Gunter led the team in passes of 20 yards or more allowed with 11½. Ten receivers had 100-yard games, including four of at least 180: Marvin Jones (6-205), Adam Thielen (12-202), Stefon Diggs (9-182) and Julio Jones (9-180). The Packers fought back with 19 interceptions; Ha Ha Clinton-Dix tied for fifth with five. Eight of the picks came in Games 13-14. There were 20 batted passes, nine more than a year ago and the most in Green Bay in more than 18 years. Peppers led with five. It couldn’t last. That was obvious. Yet, it was an eye-opening way to start a season. Merely a 21st-ranked run defense last year, the Packers found themselves leading the NFL four games in with shockingly impressive yields of 42.8 yards per game and 1.99 per carry. Normalcy returned over the last 15 games as opponents averaged 110.2 and 4.58. In the end, Green Bay’s No. 8 finish (94.7) was their best since the ’09 club led the league (83.3). In yards allowed per rush, the Packers ranked 14th (4.03). There were 26 tackles for loss in Games 1-4 but just 30 in Games 5-19. Capers decided he had to play more defenders in coverage than at the line. Letroy Guion led in tackles for loss (7½) and the D-line in tackles per snap (one every 9.3). Jake Ryan paced the ILBs (one tackle every 6.9), Jayrone Elliott led the OLBs (one every 10.4) and Morgan Burnett was No. 1 among the DBs (one every 10.2). Forget about referring to the 3-4 as the Packers’ base defense; they used it just 11% of the time (136 of 1,239 snaps). Three backs, including Ezekiel Elliott twice, surpassed 100: DeMarco Murray (17-123), Robert Kelley (24-137) and Elliott (28-157, 22-125). Of the nine carries allowed that were for 20 yards or more, Mike Daniels was responsible for the most (two). The only running-back lost fumble all season was by Seattle’s Alex Collins in garbage time on a strip by Christian Ringo. Burnett led in total tackles with 108, seven more than Ha Ha Clinton-Dix. Joe Thomas had the most missed tackles (13), three more than Gunter. Two years after missing 16, Clinton-Dix missed just three. The second season with Ron Zook coordinating was adequate, and nothing more. In a 10-category statistical breakdown of special teams, the Packers finished 24th. The shining light was Mason Crosby. He beat the Bears, 30-27, at windy Soldier Field with a 32-yard FG as time expired. Then, in the divisional playoffs at Dallas, he connected from 56 with 1:33 left and from 51 as time expired for the 34-31 victory. He ranked 11th in FG accuracy (86.7%). He did miss three of 57 extra points and a 41-yard boot in Atlanta last Sunday. The new punter, Jacob Schum, ranked 24th in net (39.1). His average hang time (4.25) was better than any Packers punter has mustered in the last 17 years with the exception of Tim Masthay (4.35) in 2012. The return game was a mess. Zook rotated four players on kickoffs and three on punts, but largely because of inconsistent blocking there was just one runback for more than 40 yards (Trevor Davis, 55, punt return). The Packers also failed to use the new touchback rule to their advantage. Their opponents had the most favorable starting position (26.6) in the NFL. Jordan Todman’s two returns for 160 yards sparked the Colts’ upset victory in Game 8. Green Bay’s turnover differential was minus-1. The biggest play might have been Ty Montgomery’s blocked punt in Minnesota. The penalty leaders, with four apiece, were Kentrell Brice and Josh Hawkins. Jayrone Elliott was the tackling leader with 14 followed by Marwin Evans and Brice, each with 11. The leader in missed tackles was Elliott with three. In the last 12 months GM Ted Thompson procured one starter (Jared Cook) and one semi-starter (Blake Martinez). Cook arrived three weeks into free agency from the Rams for $2.75 million over one year. After losing most of training camp and six games due to injury, he turned into the Packers’ best receiving TE since Jermichael Finley. Another spring “street” signing, LB Lerentee McCray, was traded to Buffalo on Sept. 3 for a seventh-round draft choice. The same day, Thompson cut Pro Bowl G Josh Sitton. Not only did the Packers weaken their line, they lost the chance for a high compensatory pick in 2018 if he walked as a free agent in March. The time to deal Sitton, assuming management didn’t want him around, was last spring, not under the pressure of final cut day. Thompson traded for his first player in six years; 12 days later, he returned RB Knile Davis to Kansas City, voiding the seventh-round tariff. In the draft, Thompson replaced NT B.J. Raji, who unexpectedly quit, by taking NT Kenny Clark with the 27th pick. He also traded up nine slots in the second round for T Jason Spriggs, who repeatedly demonstrated that he has a long way to go. As usual, the Packers assembled one of the NFL’s youngest opening-day rosters (fifth at 25.55); the Browns, the youngest (25.05), went 1-15. Green Bay started with 12 rookies before ending with a whopping 15. Excluding moves made from the PUP, injured reserve and suspended categories, nine of the 12 roster additions after the opener came directly from the practice squad. The only contributor was WR Geronimo Allison. It’s ridiculous to second-guess Thompson for his decision not to re-sign CB Casey Hayward. He didn’t make a play all last year, can’t run, isn’t physical and fits a zone team like the Chargers much better than the Packers, who feature more man coverage. Thompson, however, failed to reinforce cornerback and running when injuries struck. The Packers and the Patriots were the consensus picks to play in the Super Bowl. New England advanced whereas Green Bay, with a team capable of winning it all for the eighth straight year, failed for the seventh time. Mike McCarthy’s team got off to one of its patented slow starts; playing Aaron Rodgers in just one exhibition game stalled the offense for weeks. The Packers’ first defeat came by three points in Minnesota after McCarthy went for it and failed on fourth and 2 at the Vikings 14 late in the third quarter. Coach-to-player communication errors were evident throughout the year. McCarthy did his best work implementing imaginative game plans and personnel groupings in the face of upheaval at running back. Back calling the plays after allowing Tom Clements to do it in Games 1-12 last year, McCarthy’s offense finally returned to its old devastating form down the stretch. The 19-game average of 4.68 gains of 20 yards (74 passes, 15 runs) or more was the club’s highest in at least 23 years. The Packers scored 65 points on opening drives, their most under McCarthy. They also scored a McCarthy-high 43 points on end-of-first-half sorties. For the fourth straight year the Packers ranked among the top 10 teams in fewest penalties. Under Dom Capers, this was a good tackling defense: the 103 missed tackles was the unit’s low since 2012. What really fueled the turnaround was turnover differential, McCarthy’s secret of success. Tied for 27th at minus-6 after 10 games, Green Bay went on a tear to finish sixth at plus-8. The season started in exhilarating style. Battling sultry weather and what was forecast to be a promising young team, the Packers received a great play from Damarious Randall on a wide-receiver screen in the final seconds to beat Jacksonville, 27-23. While far from a masterpiece, it ranked as a most happy memory when the Packers stood 4-6 after a fourth straight defeat. At that point, they were arguably the most disappointing team in the league. They also were tied for the 11th-best record in the NFC and two games behind Minnesota and Detroit in the NFC North Division. The Packers defeated the Lions, 31-24, in the finale to deny Detroit its first divisional title in 23 years. It landed the fourth-seeded Packers in the playoffs for the eighth straight season. According to Man-Games Lost, a total of 19 teams were hit harder by injury than the No. 20 Packers. Counting playoffs, they had 15 starters miss 76 games and 13 backups miss 76 games (28-152 overall). The Packers had seven players on injured reserve at year’s end; CBs Demetri Goodson and Makinton Dorleant were the two players who required reconstructive knee surgery in 2016. On offense, they improved from 28th to second on third down and from 18th to 10th in the red zone. Those gains were offset by defensive slippage on third down (ninth to 24th) and red zone (16th to 28th). The Packers were 11-7-1 against the spread. 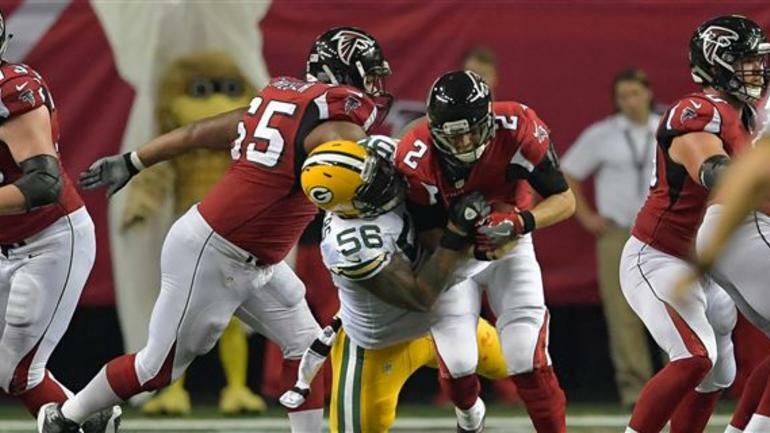 With a Super Bowl berth at hand in a building the Packers had destroyed the Falcons by 27 points six years earlier in the divisional playoffs, they weren’t even competitive and lost by 23. It ended the Packers’ winning streak at eight games and left them with a final record of 12-7. 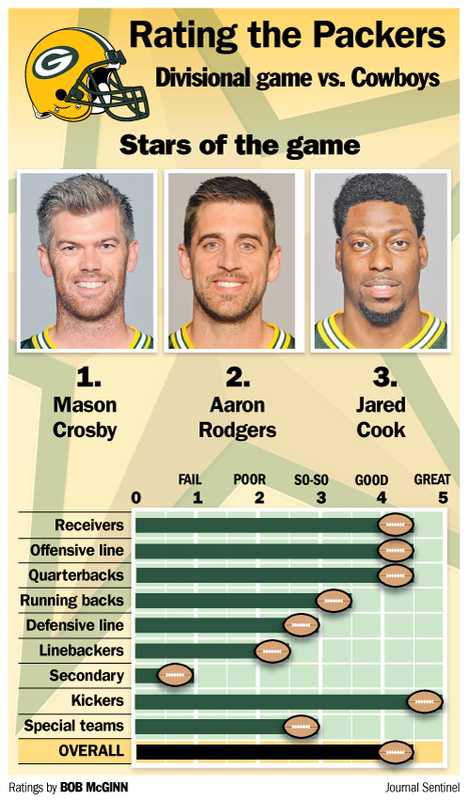 This is the first in a three-part series grading the Packers for their 2016 season. ~GREEN BAY – It wouldn’t have taken much. Add one player here, another player there. Win home-field advantage and it’s easy to picture an NFC Championship Game at Lambeau Field turning out much differently than the one played last Sunday at the Georgia Dome. Only the Green Bay Packers under general manager Ted Thompson would rather sit on their hands than procure players … at least veteran players. Now they’ll be sitting home once again as another more aggressive franchise, this time the upstart Atlanta Falcons, represents the NFC in the Super Bowl. Of course, Thompson is correct when he says the way to win in the National Football League is through the draft. Ron Wolf said the same thing. No team, however, can win it all without significant player acquisition outside of the draft. Randy Moss was the main reason Tom Brady had the MVP season and the Patriots went 16-0. Moss was first offered to Thompson that spring. Thompson passed. Belichick didn’t. The Packers don’t win the 31st Super Bowl if Wolf doesn’t trade for Brett Favre and sign Reggie White, among many others. They also don’t win the 45th Super Bowl if Thompson doesn’t sign Charles Woodson and Ryan Pickett. This is brought up because the Packers have squandered still another realistic chance in the era of Aaron Rodgers to capture their 14th NFL championship. They’ve had enough talent to win the Super Bowl nine times in 11 seasons under Thompson and coach Mike McCarthy, and just once have they claimed the Lombardi Trophy. 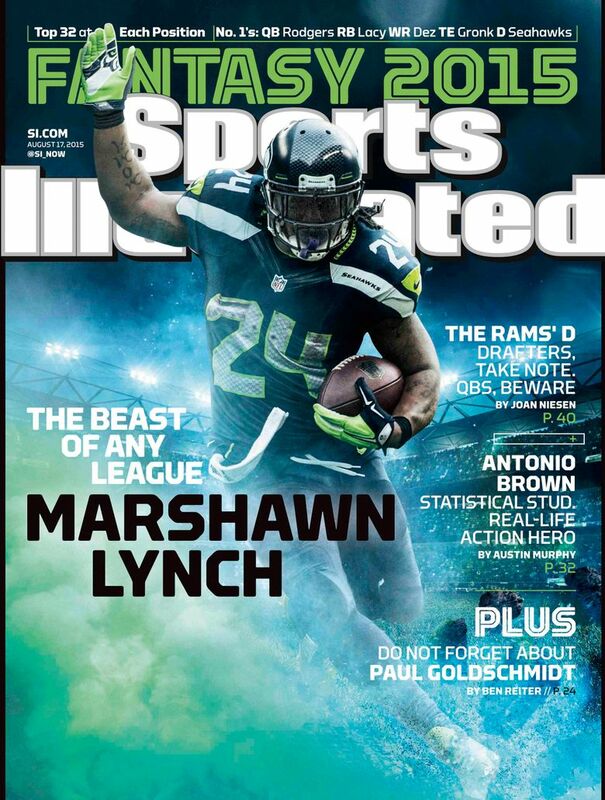 The Seahawks would not have made back-to-back Super Bowls without obtaining Marshawn Lynch from Buffalo. Buffalo first offered Lynch to Thompson. Thompson passed. John Schneider, Seattle’s GM, didn’t. 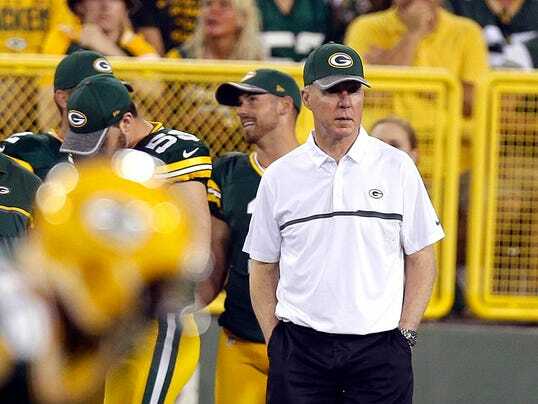 Thompson’s aversion to signing players that have been with other teams is holding hostage McCarthy and his coaches, Rodgers and his teammates and members of his own personnel department. None of them like it but they can’t do one thing about it. Packers President Mark Murphy, the one man who can do something, goes about praising Thompson whenever the opportunity presents itself for the wonderful job he has done and the wonderful job he is doing. Thompson is a good general manager with a long list of admirable qualities. 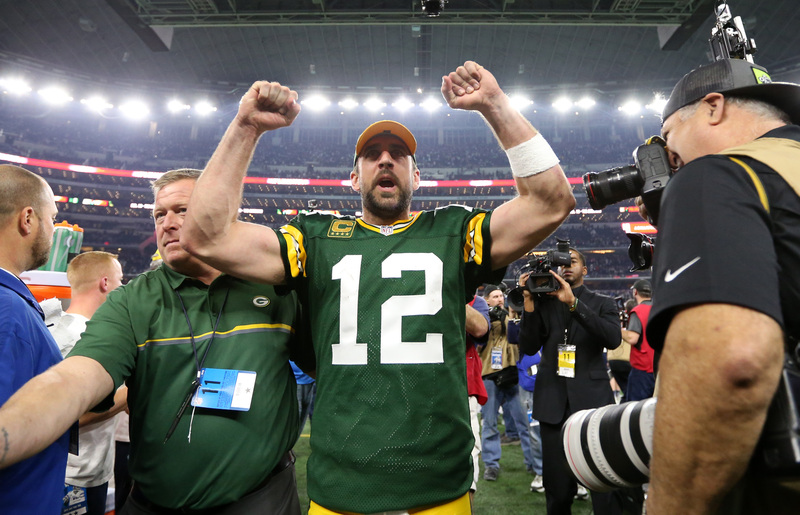 If he were a great general manager, the Packers would have been in the Super Bowl more than once in his 12-year tenure, especially considering his quarterbacks have been Favre and Rodgers. 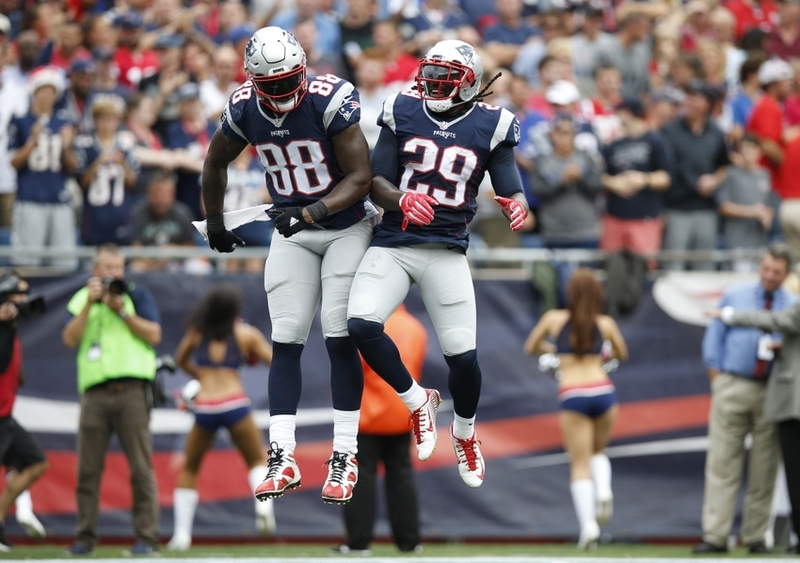 New England Patriots tight end Martellus Bennett (88) and running back LeGarrette Blount (29) celebrate after scoring one of his league-leading rushing touchdowns this season. Blount was obtained free off the waiver wire, while Bennett was obtained this past off-season, also not via the draft. His veteran skills have helped cope with the loss of star tight end Rob Gronkowski. How could Thompson, after watching the defense get ripped apart by the Falcons, even look McCarthy, his coaches and his players in the eye? The Packers had six cornerbacks on the 53-man roster at the end of the season. Only two, LaDarius Gunter and Josh Hawkins, have a long history at the position. Damarious Randall played safety in his two years at Arizona State. Until late September, Micah Hyde had been a safety since 2014. Chris Long was a top-3 NFL pick not long ago, and he was obtained for free by Belichick this past off-season. He’s fit right in. Another veteran presence, with talent. Quinten Rollins was a basketball player at Miami (Ohio) before giving football a shot in 2014. Herb Waters, a collegiate wide receiver, was converted to cornerback in September as a practice-squad player. On injured reserve were Demetri Goodson, another basketball player for the majority of his college days, and Sam Shields, who played two seasons at wide receiver for Miami. Remember Howard Green’s help in 2010? “Alan has done a great job for us,” Belichick said. “Along with his play, which is certainly significant, one of the things that has been really impressive about him has been his play time. In addition to his overall production, he’s played a lot more than he has in quite a while in terms of number of plays.” Branch, 32, led all Patriots at his position by playing 60.1 percent of the team’s snaps in the regular season. That was up from 39.6 percent in 2015. Belichick noticed too, saying, “Guys that weigh 350 pounds and are athletic and long like he is, they don’t grow on trees. They’re hard to find.” The Patriots “found” Branch at one of the lowest points of his career, signing him to a one-year contract on Oct. 29, 2014, two months after Branch had been released by the Buffalo Bills after a DUI arrest and was wondering if he’d play again. Losing Shields to a season-ending concussion in the first game turned out to be a killer because a depth chart laden with young players wasn’t nearly good enough. Not only did Thompson draft Randall in the first round and Rollins in the second round, he did next to nothing to alleviate the mess at cornerback. On Sept. 7, a few days after the final roster reduction, the New England Patriots probably were no better or worse than the Packers at cornerback. New England’s depth chart showed Malcolm Butler and Logan Ryan as starters followed by rookie Cyrus Jones, a first-round draft choice, and free agents Justin Coleman and Jonathan Jones. Patriots congratulate teammate Eric Rowe after getting an interception in the second quarter. The Patriots were interested in Eric Rowe, a cornerback that the Eagles had traded up to draft in the second round of the 2015 draft. The two teams agreed on a trade in which Rowe went to New England for a conditional fourth-round pick in 2018 that could improve to a third based on performance/playing time clauses. Rowe, 6 feet ½ inch and 205 pounds, had been the 47th overall selection. At No. 30, the Packers’ pick had come down to Randall or Rowe. For some reason, new Eagles defensive coordinator Jim Schwartz didn’t like Rowe. Maybe Bill Belichick knew that; he was the one who gave Schwartz his first NFL job 25 years earlier in Cleveland. As the rest of the league slept, Belichick stole a first- or second-round talent for possibly a fourth-round pick. Rowe, who has 4.41-second speed and a 39-inch vertical jump, turned out to be a valuable addition. Used primarily as a nickel back in his 452 snaps, his size and speed have helped produce the league’s No. 1 scoring defense. No team ever can have enough corners, especially one like Green Bay with a No. 1 (Shields) that had four concussions, a No. 2 (Randall) who had gone straight downhill late in his rookie season, a No. 3 (Rollins) who looked raw but somewhat promising as a rookie and a No. 5 (Goodson) who was starting a four-game suspension. Even though the Packers really liked Rowe before that draft it was Belichick, not Thompson, who made the trade. By the time Chicago’s Matt Barkley got done passing the Packers silly (362 yards) on Dec. 18, it should have been apparent to the personnel people in Green Bay that a Super Bowl probably wasn’t going to happen with those cornerbacks. Two weeks earlier, the Packers shifted cornerback Makinton Dorleant from injured reserve to the 53. On Dec. 17, they promoted No. 3 quarterback Joe Callahan from the practice squad. Dorleant, a slender rookie from Northern Iowa, appeared to be on about the same level as Hawkins in training camp. Hawkins was so bad early in the season that McCarthy was afraid to play him again. Callahan filled a third roster berth that should have been utilized for immediate defensive help. In a cornerback room filled with so many shell-shocked young faces, why in the world wouldn’t Thompson sign a veteran or two who in the not-too-distant past had played well? This is why adding Cromartie would have been a big mistake. He’s racist, and an idiot, and old. I’ll take getting beat with grace by a good guy over getting beaten by a racist old fool with a dozen kids by a dozen different baby-mammas. Antonio Cromartie, a four-time Pro Bowl player, was cut Oct. 4 by the Colts. At 32, Cromartie wasn’t playing well, but at least he had started the first four games. In 2015, he played 86% of the snaps for the Jets, performing best in a press-man scheme much like the Packers employ. Perrish Cox, 29, started nine of 11 games for the Titans before being released Nov. 29. He struggled against the Packers on Nov. 13. His résumé included 45 starts and a checkered off-the-field record. Dorleant, Hawkins and Callahan are dime-a-dozen free agents that might never be heard from again. They’re replaceable. Give defensive coordinator Dom Capers and Joe Whitt, the veteran cornerbacks coach, a week with both Cromartie and Cox in a fresh environment for a Super Bowl-contending team and there’s a reasonable chance Matt Ryan wouldn’t have thrown for 371 yards in the first three quarters. Thompson’s response was to promote from within, get even younger and, in effect, tell McCarthy to go win it all with Gunter, Randall, Hyde, Rollins, Hawkins and Waters. “We all make mistakes,” said one former GM. “Maybe you can’t get better. Maybe the guy you want you can’t get, but at least you’re trying. I always felt obligation to the head coach to try. Every 12 months there are thousands of transactions in the NFL, and each one has a story. Here are six in which the player certainly could have helped the Packers. Odds are, Thompson never seriously considered any of them. Running back Matt Forte went from the Bears to the Jets on March 9 for $9 million guaranteed. He gained 1,076 yards from scrimmage before his season ended in December with knee cartilage damage. Tight end Vernon Davis went from the Broncos to the Redskins on April 1 for $1.1 million guaranteed. He caught 44 passes for 583 yards (13.3) and two touchdowns. Running back LeGarrette Blount re-signed with the Patriots on April 12 for $100,000 guaranteed. He carried 299 times for 1,161 yards (3.9) and 18 TDs. Pass rusher Dwight Freeney signed with Atlanta on Aug. 4 for $500,000 guaranteed. He might be the Falcons’ second-best rusher with 20-plus pressures. Wide receiver Taylor Gabriel was awarded to the Falcons off waivers from the Browns on Sept. 4. He has 41 catches for 674 yards (16.4) and six TDs. Versatile linebacker Jamie Collins was acquired by the Browns in a trade with the Patriots on Oct. 31 for a conditional fourth-round pick in 2018. In eight games, he had 69 tackles and two sacks. Last week, he signed a four-year extension with $26.4 million guaranteed. Those are just a few of many possibilities, and don’t tell me it’s second-guessing. Thompson has incredible financial and analytical resources, a large staff at his beck and call and dossiers on all players both on and off the field. It’s his job to make fewer mistakes than the competition and build a better team than the rest. It should be remembered, too, that cash wasn’t always so plentiful in Green Bay. When Wolf, coach Mike Holmgren and Packers President Bob Harlan won their Super Bowl, Lambeau Field wasn’t the cash cow that it is today. The Packers were far down in profit margin back then. For fiscal 1995, their bottom line of $5.4 million was chump change compared to the $48.9 million it was last year. Those Packers persevered through Wolf’s pragmatic approach and ever-bold roster-building practices, Holmgren’s keen intelligence and cutting-edge offensive mind and Harlan’s courage to break from the Lombardi organizational structure and rare gifts in public relations. When’s the last time cash flow limitations ever crossed the lips of a Packers executive? It’s an issue in some cities but not Green Bay. The men in charge today, in effect caretakers of a franchise that was reborn before their arrival, should never forget how good they have it and the built-in advantages of working in Green Bay. McCarthy, presumably Murphy and probably Thompson can bury their heads in the sand and label a 12-7 record and annihilation in the NFC title game as success for a team that opened the season as the Super Bowl co-favorite and had Rodgers play nearly every snap. That’s just noise from a podium from people hoping their loyal fan base forever and always keeps the faith and doesn’t judge 2016 for the missed opportunity that it was. It wouldn’t have taken much to put the Packers over the top this season. It won’t take much for them to get over the top next season. So the ball rests squarely in Thompson’s court. For Packers fans, it must be depressing to know it’s likely little or nothing will change in the way he puts the team together. Hint: maintaining status quo isn’t the way to the Super Bowl. ~ARLINGTON, Texas — So, this is the scene. It seems to come straight from a Hollywood scriptwriter’s mind. Two Pro Bowl rookies make the playoffs for America’s most popular football franchise. They stare down the barrel of greatness, in the person of a legend who has devastated every team in his path over the past two months. The youngsters are nervous initially but go on to mount one of the great playoff performances the NFL has ever seen from a pair of rookies. What transpired Sunday was one of the most entertaining and drama-filled divisional games ever. This wasn’t scripted. This was real life. The rookies were the non-nervous and lethal pair, Dak Prescott and Ezekiel Elliott. They played beyond their years. The character of GOAT was played by Aaron Rodgers. Prescott, Elliott and the Cowboys lost to a master in Rodgers, and to the Green Bay Packers 34-31 in the NFC Divisional Round at AT&T Stadium. The Packers will play at Atlanta in the NFC Championship Game next week. For the two young players, there is no shame losing to Rodgers. Lots of players have. There is a trail of carcasses littering the NFL landscape right now, all slain by Rodgers. Where do you start? Mason Crosby making two long field goals, the second from 51 to win the game? The brilliant comeback from 21-3 down by Prescott and Elliott? The catch by Jared Cook? The fact Green Bay scored 34 points, which tied for the third-highest total Dallas has ever given up in a playoff game? You could begin in any of those places. But you have to start with 3rd-and-20 with 12 seconds left, 68 yards from the end zone. You have to start with Rodgers. You always have to start with Rodgers. Thanks to Mason Crosby & Jared Cook, Rodgers’ Legend took another step up in Dallas. He leaves Lambeau Field here after eliminating Eli Manning’s Giants a week earlier. We also learned after the game that Rodgers drew up the final play basically in the dirt. He keeps amazing us—then, he amazes us some more. “We’re seeing something special right now,” Crosby said of Rodgers. We’re seeing maybe the best stretch of football any quarterback has ever played. We’re seeing the best quarterback to ever do it. Go ahead. Argue, or @me. It’s true. But back to that 3rd-and-20. It turned into a 35-yard pass-and-catch and put the Packers in field-goal range with three seconds remaining and a tie score. That’s what the history books will say, but it was more than that. Rodgers initially looked like he was loading up to throw toward the end zone, but then Cook flashed into his view. Rodgers put the football in a place where only Cook could catch it. The catch was incredible, with Cook dragging both feet in the turf. Yet the throw was so remarkable (adjectives to describe Rodgers are running low). Indeed, Rodgers on Sunday made at least three or four throws no other quarterback today could make. He seems to make throws on the regular that few quarterbacks in history could have. Another place to start in this game is at the beginning. Rodgers put on a doctoral-level quarterback clinic. Later in the game, we saw Rodgers use his physicality with accurate throws and scrambling. Early, he used Jedi mind tricks to help Green Bay jump to a big lead. In one series, the first, he caught the Cowboys with 12 defenders on the field after a quick snap for a five-yard penalty. On the same drive, he tossed a deep touchdown pass on a free play. According to the Fox broadcast, Rodgers’ 13 touchdowns off the hard count since he came into the league are the most. The next-closest quarterback has three. Later in the first half, he caused the Cowboys to call a timeout far too early in the contest—after a bye week. Rodgers legs’ have been a factor as well. If Atlanta has to double receivers, it can give Rodgers room to gain yards with his legs. I’d like to write about something other than Rodgers. But this is ridiculous and historic, and there is no other topic to discuss right now when it comes to games Rodgers plays in. It’s Rodgers’ world, and we’re all squirrels just trying to get a nut. I didn’t stay in the press box for this game. I walked the stadium the entire contest, parking myself in different parts of it and just observing. I can’t stress enough how much everyone in the stadium was stunned early on at what Rodgers was doing. Throughout the crowd, pockets of Cowboys fans watched, mouths agape, and with great appreciation of what they were watching. On the Cowboys’ sideline, players looked genuinely shocked as Rodgers orchestrated the early lead. Quarterback Dak Prescott walked to members of the offensive line, clapping and cheering them on. When Prescott threw a gorgeous dime to Dez Bryant, turning a 21-3 first-half game to 21-10, it seemed Dallas was primed to make a comeback. The same fans who were sitting on their hands were screaming again. Then came the beginning of the third quarter. Rodgers methodically and without mercy led Green Bay to another score. On that drive, he hit six passes to four different receivers. On one play, Rodgers rolled right knowing that he was going to get blasted—and he did—yet still completed an impossible throw downfield. On the Dallas bench, several players shook their head in disbelief. It was as amazing watching Cowboys players’ reactions on the bench as it was the play Rodgers made. Cowboys coach Jason Garrett said when Rodgers is done, he will go down as one of the top three to ever play. Not top three quarterbacks. Top three players, period. Jason Garrett played QB in the NFL. He beat the Brett Favre Packers in the mid 90’s when Aikman was out. He’s been eliminated by Rodgers the past two times he’s gotten his team to the playoffs. Rodgers said he was trying to steady his breathing and stay calm on that last drive. He did both pretty well, eh? Jim Brown is the best football player of all time. Rodgers is starting to threaten that position. This statement will cause some of you to lose your mind. But this is the universe we’re entering right now. He’s been that good. Mike Freeman covers the NFL for Bleacher Report & his original article is found here. ~GREEN BAY – Now owner Jerry Jones and son Stephen, his top personnel man, understand keen disappointment when it comes to playoff football between the Dallas Cowboys and the Green Bay Packers. Three straight times in the 1990s (’93, ’94 and ’95) the Cowboys eliminated the Packers. Now the Cowboys have been ousted by the Packers twice in the last three years. There’s a major reason why the offense sputtered in the Game 5 loss to the Cowboys. Jared Cook was out with an ankle injury. Obviously, Jordy Nelson (ribs) was missed in this game, but probably not to the extent that Cook would have been. Cook (played 51 of the 67 offensive snaps, including 23 with his hand down) is a unique player on this roster. The 36-yard reception to set up the winning field goal would have been difficult for a WR, let alone a TE. His hands, his sideline awareness and his ability to read a coverage coming all the way across the field were just outstanding. He made two other tough catches. He ran right by CB Morris Claiborne for 26 yards, and was open deep against CB Brandon Carr but the pass was overthrown. He isn’t a fabulous athlete and is a little stiff, but his hands are consistent, he can still run and he’s a willing if not always effective blocker. Cook led in targets with 11 followed by Davante Adams (60) with 10 and Randall Cobb (62) with eight. Adams is hard for any CB to handle on split end-slants against press coverage. When Adams moved inside in a trips formation, FS Byron Jones came down to cover him. Jones had outside leverage but Adams beat him outside anyway with his fast feet for 32. Cobb outplayed nickel back Orlando Scandrick, an old adversary. He also showed tremendous toe-tapping ability on the first play of the third quarter. What endears Cobb to scouts is the fact he gets north-south after the catch without messing around. Geronimo Allison (51) is still a little soft and can be ridden off routes. However, he’s aggressive after the catch and even on crack-back blocks. He’s a consistent catcher, too. When Richard Rodgers (25, 12 in a three-point stance) went one-on-one against WLB Sean Lee, the 34-yard TD was his longest gain since the Hail Mary in Detroit last season. Rodgers surprisingly had Lee beat by several steps but then came back to make a tough catch falling into the end zone as the pass was underthrown … maybe intentionally. David Irving, perhaps the most talented member of the Cowboys’ eight-man rotation in the D-line, also played the most snaps (45). With his height, long arms and speed, he had been disrupting foes in the last six weeks. Against the Packers’ veterans, he made one tackle and didn’t have a pressure. When Irving played DE, Bryan Bulaga handled him. When he worked inside, T.J. Lang and Corey Linsley were in total control. Rod Marinelli’s group plays as hard as any in the NFL, but hustle can’t make up for pedestrian talent against a pass-blocking unit like the Packers. All three sacks were by defensive backs on five-man pressures. In all, Marinelli rushed five on 36 percent of dropbacks (he never rushed six). Even after returning from a second-quarter knee injury, David Bakhtiari owned DEs DeMarcus Lawrence and Benson Mayowa. DE Tyrone Crawford, a solid vet, didn’t come close to solving Bulaga. Lang blocked authoritatively on the second level, and on Aaron Ripkowski’s 20-yard run he pulled and took out Lee. Linsley’s pull on MLB Anthony Hitchens for a 15-yard gain was reminiscent of how Cowboys C Mark Stepnoski worked in space in the 1990s. As the game went on Linsley’s shotgun snaps started floating back. On Ty Montgomery’s 3-yard TD run, Lane Taylor combo-blocked off DT Terrell McClain and onto Lee. Fortunately for the Packers, Jason Spriggs had to play just six snaps (three at LT, three at TE). That was time enough for the rookie to miss Lawrence on a run for minus-5 and miss Lee for a hurry on a stunt. He has a ton of work to do before 2017 training camp. Based on the first three series, it looked as if Aaron Rodgers had a snitch in Marinelli’s staff meeting room all week. Everything worked: the quick game, the play-action game, the deep game, the check-down game, the blitz-beater game and the extend game. When Mayowa took his good sweet time subbing out on third and 5, Rodgers had the ball snapped to gain the penalty that sustained the opening TD drive. When Irving jumped offside, Rodgers was able to complete just his second pass of the season on a “free” play (the TD to Richard Rodgers). He seemed so calm. His accuracy in the first half was good, not great. He probably missed not having Nelson around as his default receiver. Rodgers had a chance to do away with Dallas late in the third quarter but threw a bad ball inside rather than outside to Adams and FS Jeff Heath intercepted to initiate the Cowboys’ comeback. Dallas didn’t register a single pressure until the five-minute mark of the second quarter. When Marinelli began sending an extra rusher, Rodgers was responsible for 1 ½ of the three sacks and one of the two knockdowns. He was hit much harder than in most games. Probably the most jarring contact was the blind-side shot by Heath for a sack with 18 seconds left and the score tied. Some quarterbacks fumble from that hit. Not only didn’t Rodgers fumble, it took no more than a second for him to look at referee Tony Corrente and call a timeout. On the next play, he extended right and threw a perfect 20-yard pass to Cook that Jones made a stellar play to break up. On the next play, one that will be remembered for years, he rolled by design to the left, spotted Cook running through the zone and, throwing across his torso, delivered a somewhat wobbly pass on the dime for 36 yards. Rodgers hasn’t experienced the thrill and satisfaction of many game-winning drives in his illustrious career. If the situation occurs in Atlanta or perhaps Houston, he’ll be ready. Mike McCarthy used an empty backfield 11 times, tying his highest total in the last 10 games. The result was 52 snaps for Ty Montgomery, 21 for Ripkowski and four for Christine Michael. Montgomery thrived, rushing 11 times for 47 yards against a reduced box and adding 34 yards in six receptions. When Lang blocked SS Barry Church, Montgomery made a great cut through trash for a gain of 15. On another rush he ran over Church, a certified tough guy. He vaulted into the end zone with authority, too. When the inside was plugged up, he showed speed to turn the corner and gain a couple yards. Church made amends, however, by running over Montgomery for a sack and beating him for a pressure. With seasoning, Montgomery might have picked up Heath on his last-minute knockdown. Ripkowski isn’t John Kuhn yet in protection, either. But he is tough. Michael undercut Rodgers on one of his one-step throws. That’s not the recommended path for further playing time. From a personnel standpoint, the best development was the performance of DT Kenny Clark. Considering the opposition, the Packers have to be ebullient about his showing, at least as a pass rusher. The D-line rotation consisted of Mike Daniels (played 43 of the 69 defensive snaps), Letroy Guion (27), Dean Lowry (21) and Clark (26). The only pressures were the two by Clark. He bulled All-Pro RG Zack Martin into Dak Prescott, forcing a third-down incompletion and subsequent FG. He also successfully bull-rushed LG Ronald Leary and C Travis Frederick. These were two-armed chest jams accompanied by leverage and lower-body strength. The Packers’ only tackle for loss came on a screen to Ezekiel Elliott in which Clark recognized it instantly, wouldn’t be faked and made the tackle in space. On Nick Perry’s sack, it was hustle and spatial awareness by Clark that prevented Prescott from escaping toward the sideline. Elliott made some of his 125 yards bouncing outside. Some also came straight through the A gaps. Everyone got obliterated more than once. Most damaging were the times blockers occupied Guion and Clark one-on-one freeing another to cover up one of the ILBs. After playing three D-linemen 28 times in the first meeting Dom Capers did that just five times Sunday. Though healthy, Blake Martinez played merely one snap from scrimmage compared to 67 for Joe Thomas and 53 for Jake Ryan. Thomas has back problems but it didn’t stop him from a respectable performance. He’s not a take-on guy. FB Keith Smith, a violent lead blocker, flattened Thomas twice. Martin rag-dolled him once. He’s small and will get bounced. At the same time, Thomas keeps running to the ball and, when he gets there, the hits can be explosive. In coverage, he kept TE Jason Witten from scoring a 15-yard TD with two excellent plays in coverage (one in man, one in zone) late in the first half. It was Ryan’s play to make on Prescott’s QB draw for 2 points that tied the score. Ryan usually shoots his gun but in this case he hesitated and was lost. Clearly, the Packers need better performance at the position. The battle between beat-up perennial Pro Bowlers Clay Matthews (49) and LT Tyron Smith was no contest. Of Matthews’ 28 non-stunt rushes, he was one-on-one with Smith on 25. His two pressures came on a stunt against Leary and a “rover” rush around RT Doug Free. Julius Peppers (45 snaps, including 30 at OLB) continued to start over Perry (37). Peppers had a quiet day whereas Perry came through with a critical batted ball on the Cowboys’ last snap, the sack and a knockdown inside against Free. Perry’s sack actually was set up on a flush by Datone Jones (31, including 23 at OLB) on an inside move against Free. For the first time in his 15 “healthy” games Kyler Fackrell wasn’t used from scrimmage. Easily the best of the cornerbacks was nickel back Micah Hyde (69). His interception was phenomenal, even better than his textbook pick at the front pylon at Ford Field. He trusted his film study and his keen instincts, communicated with LaDarius Gunter and jumped Prescott’s dump-off. Witten came across the formation to pick up Hyde’s slot blitz expecting another timid DB that would give himself up. Instead, Hyde adjusted to a blocker outweighing him by 65 pounds and won inside in 2.9 seconds. Hyde has enjoyed better days playing the run but also deflected a pass to speedy Brice Butler 28 yards downfield. Ha Ha Clinton-Dix (69) isn’t finishing the season strong. He had Elliott dead to rights in front of the Packers’ bench and missed. He’s just not getting much done. Morgan Burnett suffered a basketball-type thigh injury in his seventh snap before limping around for nine more and giving way to Kentrell Brice (52). Brice was erratic, which might be expected but can’t be accepted this time of year. He cut down Elliott twice in the clear with sharp low tackles, and demolished slot Cole Beasley after a catch. At the same time, he waited for a wayward long pass instead of attacking the ball and dropped the pick. He also left himself too vulnerable to punishment in front of pulling linemen, covered down on the slot for the blitzing Hyde and gave up a too-easy 19-yard pass to Terrance Williams and lost containment once. Gunter (69) shadowed Dez Bryant for the most part, which was an impossible assignment from the jump. Gunter is physical and good with his hands, but not to such an extent where he could stop a rare talent such as Bryant. When Bryant did release cleanly, Gunter’s marginal catch-up speed led to the 40-yard TD. The tipoff that Gunter is playing hurt was his poor tackling. On the other side, Damarious Randall (67) was awful. Maybe he’s hurt; on Saturday, he was added to the injury report (foot). He was late lining up at times, wasn’t in proper football position and offering little or no challenge to receivers. His run support was non-existent. Even Witten was doing whatever he wanted to Randall. The Packers can be expected to do everything possible so Quinten Rollins starts at LC. Mason Crosby had to kick the decisive 51-yard FG as time expired twice after coach Jason Garrett attempted to freeze him with his final timeout. The second boot wasn’t quite as true but fit just inside the left upright by a few feet. Ten minutes or so earlier, he drilled the third-longest FG in playoff history (56). That extends his postseason record to 23 straight. All six of his kickoffs were touchbacks; the averages were 73.8 yards and 4.0 seconds of hang time. Jacob Schum’s three-punt averages were 54.7 (gross), 45.3 (net) and 4.62. Michael is an accident waiting to happen on kickoff returns. Intelligence and stability are important qualities in that position. Michael muffed a catch Sunday, panicked and got out only to the 6. In previous games he has caught kickoffs above his head. It would be somewhat surprising if he plays again for the Packers. Something’s missing. STARS OF THE GAME: 1. Mason Crosby; 2. Aaron Rodgers; 3. Jared Cook. ~The Green Packers defense features more than triple the amount of first round draft picks as the offense does. Clay Matthews, Julius Peppers, Datone Jones, Kenny Clark, Nick Perry, Ha Ha Clinton-Dix, and Damarious Randall are all premium, first round picks. That’s seven guys on defense, each still on the active roster not on IR. On offense, there’s just Aaron Rodgers and his lone first round supporting cast-member, Bryan Bulaga. The only chance the Packers defense has, no matter what Professor Capers dials up, is if Matthews, Peppers, and Perry in particular, take over this game in stretches and they sack and batter Matt Ryan often, especially on third downs. Yet the offense routinely has to score at least 30 points to expect to overcompensate for this swiss-cheese defense, and sometimes the thought of a mere 30 isn’t nearly enough. True, the Packers have been missing Sam Shields all year, but that’s just one cornerback. I’ve seen Super Bowl winning teams like the 2007 New York Giants win with much less back there at the cornerback position. But that was because the Giants front seven stepped up and covered for the back end. This is where Matthews and Peppers must rise up and play like the superstars their contracts say they are. True, Matthews has been playing on a bad shoulder since former Packer Allen Barbre blind-sided him in Philadelphia on November 28th, the game that started the table run. That was eight weeks ago. Matthews and Peppers need to beat the Falcons offensive linemen across from them more than they have yet this season. Dom Capers cannot afford to go crazy and go blitz-happy. Matty Ice will carve them up, beit screens to Julio Jones or the speedster Taylor Gabriel, or the fast running backs Tevin Coleman or Devonta Freeman. The fate of this game, the defense specifically, does not rest on Capers. It rests on the work that Matthews and Peppers do. But Nick Perry, Mike Daniels, and Datone Jones also must play well. Capers cannot be bringing Ha Ha Clinton-Dix, Damarious Randall, LaDarius Gunter, Morgan Burnett, Micah Hyde on too many blitzes because it will expose the terrible cornerback play we have seen most of this season, including yesterday in Dallas. Per Pro Football Focus, when targeting Gunter and Randall yesterday, Dak Prescott’s passer rating was over 130 each case. That’s record-setting high. It also happens to be the same passer rating Matt Ryan had this weekend when he targeted Julio Jones, with six of eight of them being when All-Pro Richard Sherman was covering Jones. Randall and company have made journeymen Adam Thielen, Tavares King, and Marvin Jones Jr. look like Jerry Rice. Julio Jones is far better than any of those receivers. Earlier this season, Rodgers played a Rodgers-type game. And that was without Randall Cobb in the lineup as he and Matthews each missed the game with hamstrings. Rodgers finished 28-38 with four touchdowns, and no interceptions, for 246 yards, and a passer-rating of 125.5. That should win every game. Rodgers threw his fourth touchdown pass and succeeding on the two-point conversion, putting the Packers ahead 32-26 with 3:58 remaining, good enough to win many games. Not against Ryan though, for this defense that was missing Matthews. Ryan tossed an 11-yard touchdown pass to Mohamed Sanu with 31 seconds left to lift the Falcons to a 33-32 victory over the Green Bay Packers before 70,165 jubilant fans on Sunday at the Georgia Dome. The Packers offense went cold in the second half, scoring just one time in the fourth quarter and zero in the third quarter, as the Packers defense broke late allowing a late touchdown pass for a 33-32 loss. The problems with the offense were mostly the running game. Rodgers was the Packers leading rusher with 60 yards on six scrambles. The leading running backs were Ripkowski with 34 yards, Don Jackson with 10 yards, and Knile Davis with four yards on three carries. That allowed the Falcons to pin back their ears and go after Rodgers. Adrian Clayborn had two sacks of Rodgers and NFL-sack leader Vic Beasley got Rodgers once. Things have changed at running back for the Packers with Ty Montgomery and Christine Michael capable of explosive runs any time. Atlanta was missing Coleman that game, and the Packers held Freeman to 35 yards rushing on 11 carries, which is fantastic. They also held a somewhat-gimpy Jones to three catches for 29 yards. Seeing those two key stars held way in check like that, you would have expected Atlanta to be under 20 points. Nope. Mo Sanu caught nine passes on 10 targets, for 84 yards and the game-winning touchdown in the final minute. Gabriel was targeted just three times, and caught them all including a deep one for a 47-yard quick score. Tight End Austin Hooper was targeted five times, and each was complete. The other tight end Jacob Tamme was also two-for-two being targeted. 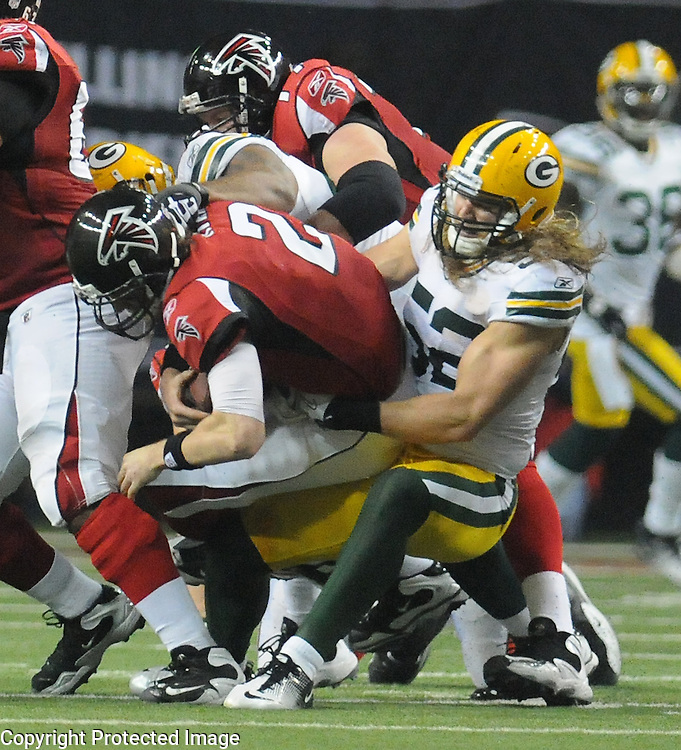 Atlanta scored 108 points more this season than the Packers did, almost 20 per cent more. They are lethal, especially at home. It’s not unfathomable to imagine the Falcons scoring 45 on this defense. They can score fast, and the Packers can allow fast, long touchdowns with that leaky back-end of cornerbacks missing Sam Shields. You know what you have in Gunter, Randall, Josh Hawkins, Herb Waters, and Quinten Rollins if he’s able to come back from the neck, head bump he suffered the last time he played when he allowed a deep completion and then hurt himself falling over the receiver onto the sideline hard on his head. You can’t morph these guys into 2010 Charles Woodson, Tramon Williams, and Sam Shields. They are who they are. But what does have to change is Matthews, Peppers, and Perry have to show why they were first round draft picks and in Matthews and Peppers case, why they are perennial Pro Bowlers and often considered superstars. Peppers and Matthews have to take over this game in stretches, especially in the second half. Julius Peppers is still playing for one thing, and it’s not paychecks. He wants a ring. Peppers biggest regret in his playing career came at this stage two years ago in Seattle, when with over five minutes to go, his stop sign to Morgan Burnett on Burnett’s interception prevented a possible pick-6, Super Bowl dagger on the Seahawks. Peppers can control his destiny this time with a monster game in Atlanta getting after Ryan. It’s a running joke between the two, a teasing reference to a television commercial Crosby made for Cellcom. Crosby’s kick didn’t go down the middle, sneaking inside the left upright, but it went straight through the heart of Texas, instantly turning Jerry Jones’ spaceship of a stadium into the biggest funeral parlor on Earth. His kick on the final play Sunday gave the fourth-seeded Packers a 34-31 victory over the top-seeded Dallas Cowboys in an NFC divisional playoff game. Green Bay, 12-6 and on an eight-game winning streak, now heads to Atlanta for the NFC championship game at 2:05 p.m. Sunday. The Packers, given up for dead after a midseason swoon left them 4-6, and with a roster shredded by injuries, keep finding ways to win. Sometimes with smoke, sometimes with mirrors, sometimes with undrafted who-dats and rookie third-stringers. File this one in the hang-on-for-dear-life category. Green Bay led 21-3 midway through the second quarter and 28-13 early in the third before its patched-together defense ran out of gas, and the Cowboys went up and down the field against token resistance. Shades of Seattle and the 2014 NFC championship game. Another meltdown like that would have sent Packer Nation into mass apoplexy. In the end, another in a long line of sublime performances by quarterback Aaron Rodgers and two long field goals by Crosby — a 56-yarder with 1:33 left and the game-winner after Dallas tried to ice him with a timeout — was the difference. 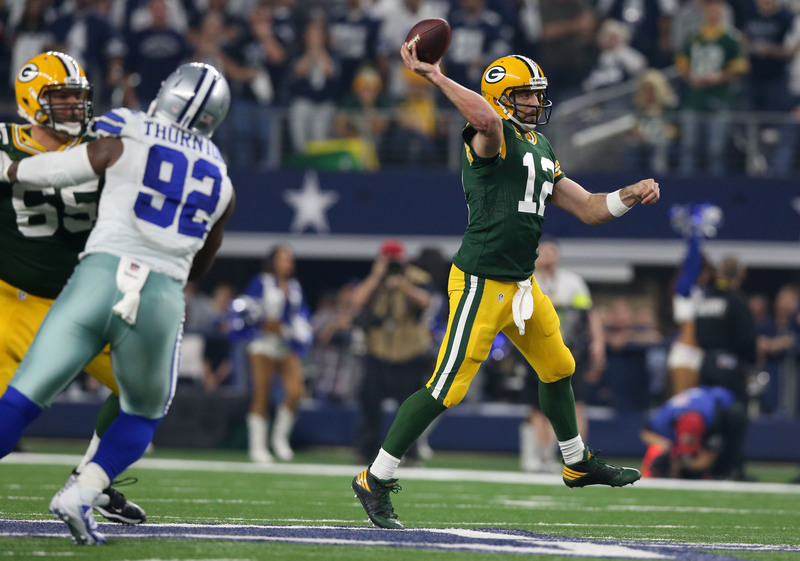 Rodgers carved up the Cowboys’ defense for 356 yards and two touchdowns without injured No. 1 receiver Jordy Nelson. Is it possible for a guy making an average of $22 million a year to be underpaid? Rodgers’ final throw, while rolling left and under duress on third and 20, was gathered in 36 yards downfield by tight end Jared Cook, who dragged his toes before going out of bounds with three seconds left to set the stage for Crosby’s heroics. If it wasn’t the best pass of Rodgers’ career, it’s on the short list. Prescott and fellow rookie Ezekiel Elliott were almost equally sensational, with the former throwing for 302 yards and three touchdowns and the latter rushing for 125. Receiver Dez Bryant caught nine passes for 132 yards. The Packers will play in the NFC championship game for the fourth time under coach Mike McCarthy, who won his 10th playoff game, one more than Vince Lombardi and Mike Holmgren. McCarthy is 10-7 in the postseason. There’s a saying that Destiny and Mystique are just dancers in a nightclub. But maybe there is something to this “team of fate” thing. The parallels between these Packers and the 2010 team that won the Super Bowl are too numerous to ignore. “We went into camp at the end of July and we felt like it was our season,” Hyde said. “We were 4-6, we had that same mindset. We were 10-6, we had that same mindset. We got in the playoffs, we still had that same mindset. Soon enough, we’ll find out. 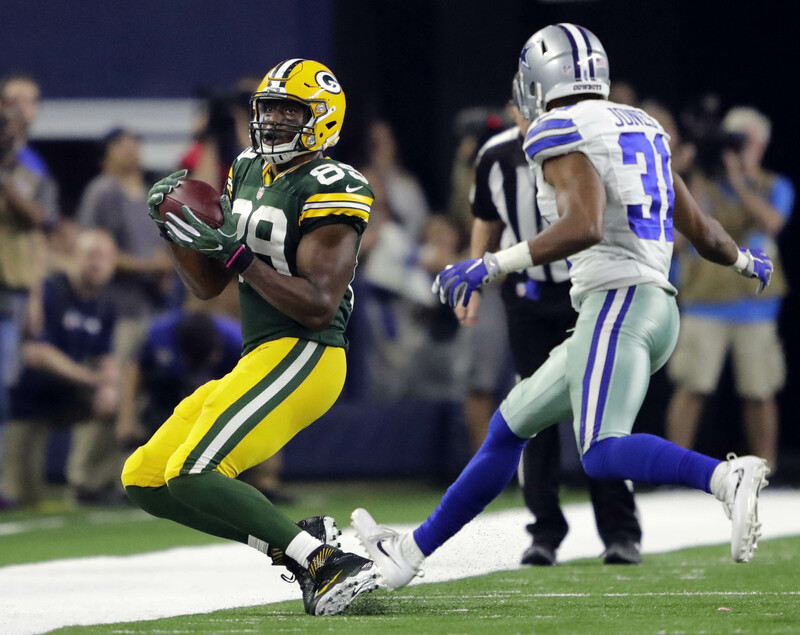 ~ARLINGTON, Texas – In practice last week, Jared Cook’s teammates got a sneak preview inside the Don Hutson Center of what would be the big Green Bay Packers tight end’s most important play of his eight-year career. The two kept the Packers from another Seattle-like capsizing with their astounding 36-yard connection that set up kicker Mason Crosby’s game-winning 51-yard field goal. Rodgers scrambled to his left on third-and-20 at the Packers’ 32 and caught a streaking Cook in his sights. ~What you just watched – a knuckle kick? 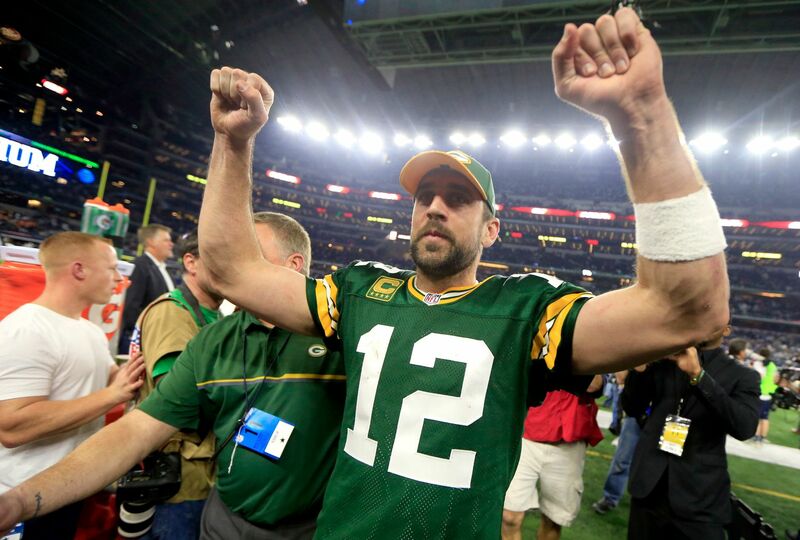 – gave Green Bay a 31-28 lead over Dallas in the final two minutes of their NFC divisional round game. ~The Legend of Aaron Rodgers is growing by the hour. 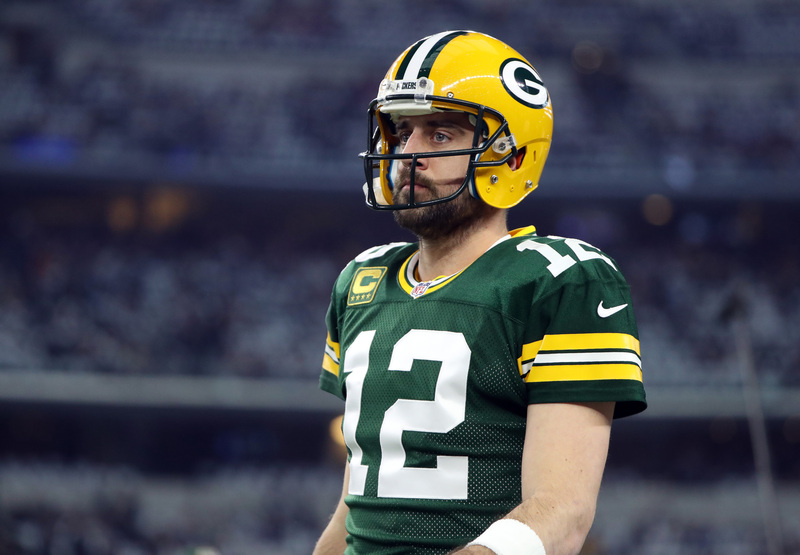 The football world is still catching its breath after the Packers‘ insane 34-31 win over the Cowboys at Jerrah World on Sunday. Turns out Rodgers’ 36-yard completion to tight end Jared Cook that set up Mason Crosby‘s game-winner wasn’t taken out of Mike McCarthy’s voluminous playbook. In truth, the play — a play that will go down as one of the greatest in Green Bay’s rich history — wasn’t in the playbook at all. When MMQB’s Robert Klemko replied, “That’s ridiculous,” Cobb offered up a different description.